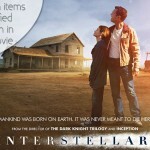 When you’re going to see a Nolan movie, the least expected detail you’re likely to notice is something fashion-related. Especially when the said flick is titled ‘Interstellar’ and you’re crying for half of the 3 hours-long projection! 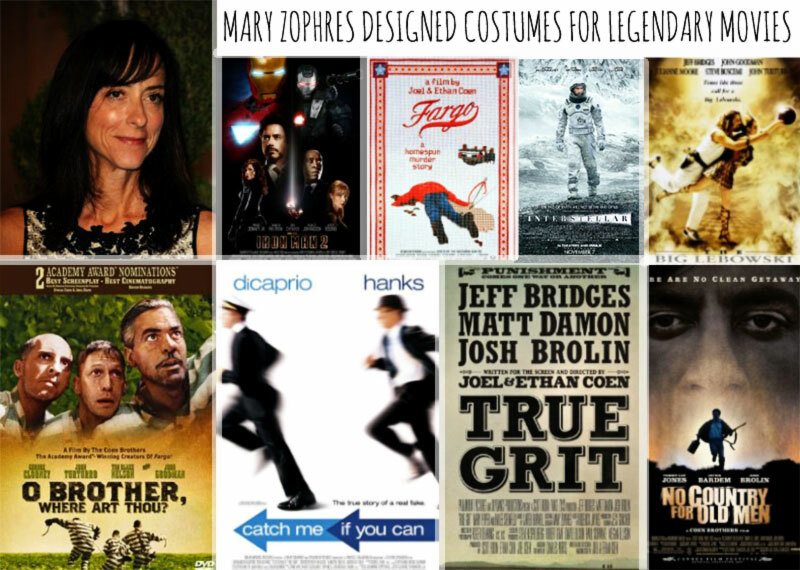 However, when you’ll hear that the costumes for Interstellar were supervised by Mary Zophres who was also responsible for Big Lebowski, Fargo, True Grit, Catch me if you can or Iron Man 2, your interest might take an unexpected twist! 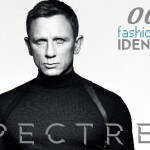 We’re talking iconic movies, thus fashion plays a defining role for the portrayal and remembrance of characters & overall atmosphere! 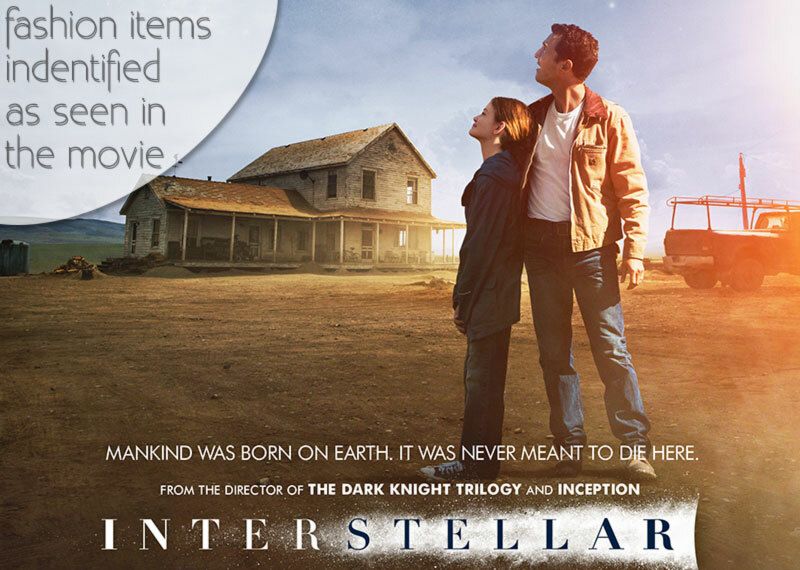 What do you remember from Interstellar’s costumes? 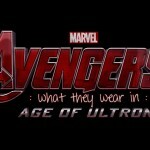 See also: More than 10 fashion items seen in Captain America TWS movie! Reliable. Work-hard, sturdy, neutral outfits! Earthly tones, work-like clothing, genderless for the most part, shapeless, classic clothes for everyday wear. You’re likely to have noticed the yellow-ish, brown jackets seen on the main characters. The action is set in an un-dated future, there’s no specification about when the action takes place, therefore the costumes design is tricky and deserves a special mention for being so discrete, yet so supportive of the main action & characters! 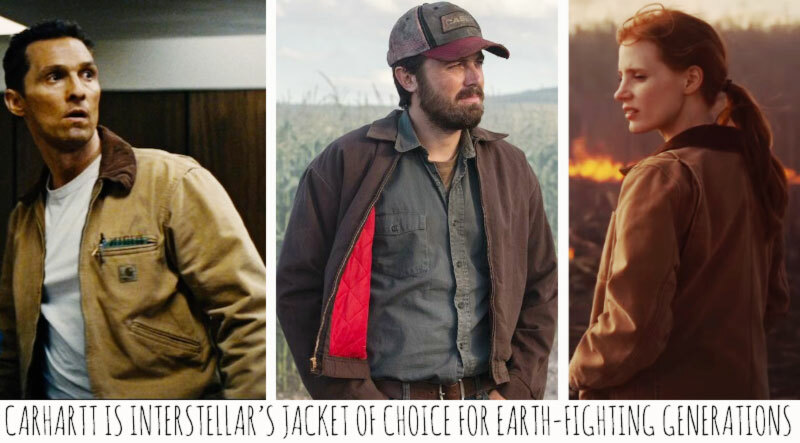 We’ve touched the topic of undeniably commercial value of Carhartt’s jackets for Sci-Fi movies before – remember Loop – the main character was wearing a chocolate-brown Carhartt jacket. 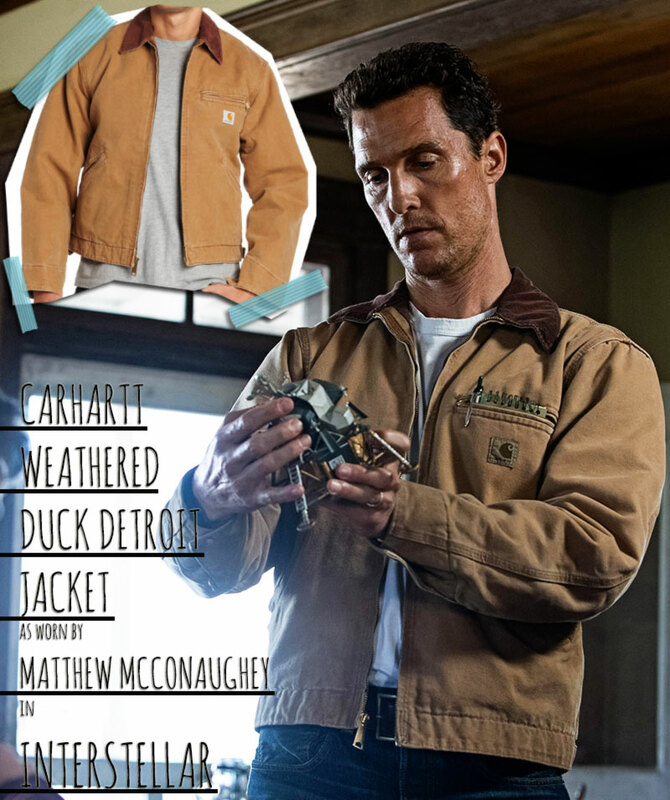 Matthew McConaughey chose the Weathered Duck Detroit jacket/blanket-lined in Carhartt Brown for the most part of his Earth bounded scenes in Nolan’s new masterpiece. 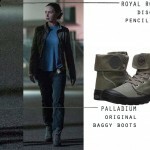 See also: The Maze Runner boots: Identified! Later on, when he switches his work jacket for a NASA fleeing between dimensions, we’re stuck with Carhartt back on Earth. This time on Jessica Chastain’s character, Murph. 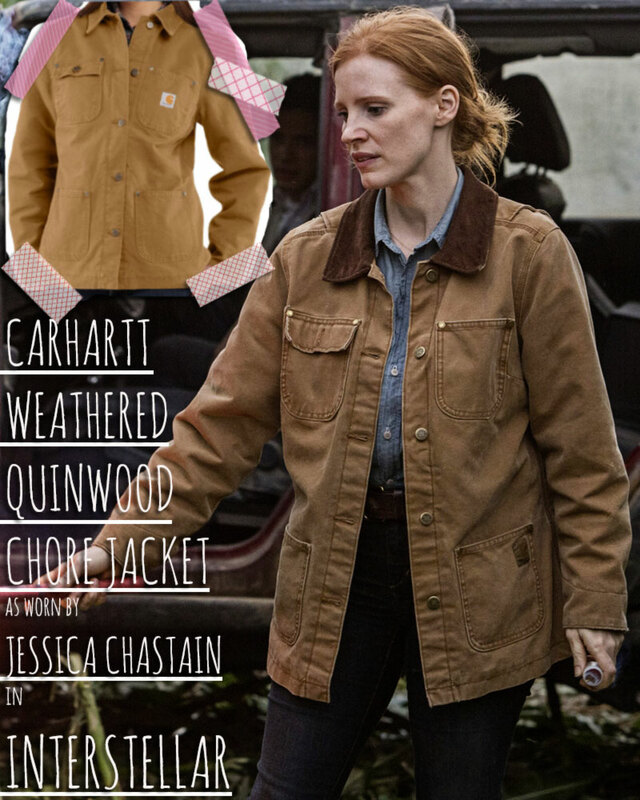 Coop’s daughter (now all grown up) is wearing yet another Carhartt jacket: the Weathered Quinwood Chore also in Carhartt Brown (except the logo label is on the left side waist pocket, like previous collections’ jackets instead of the chest pocket like most current collection’s jackets). 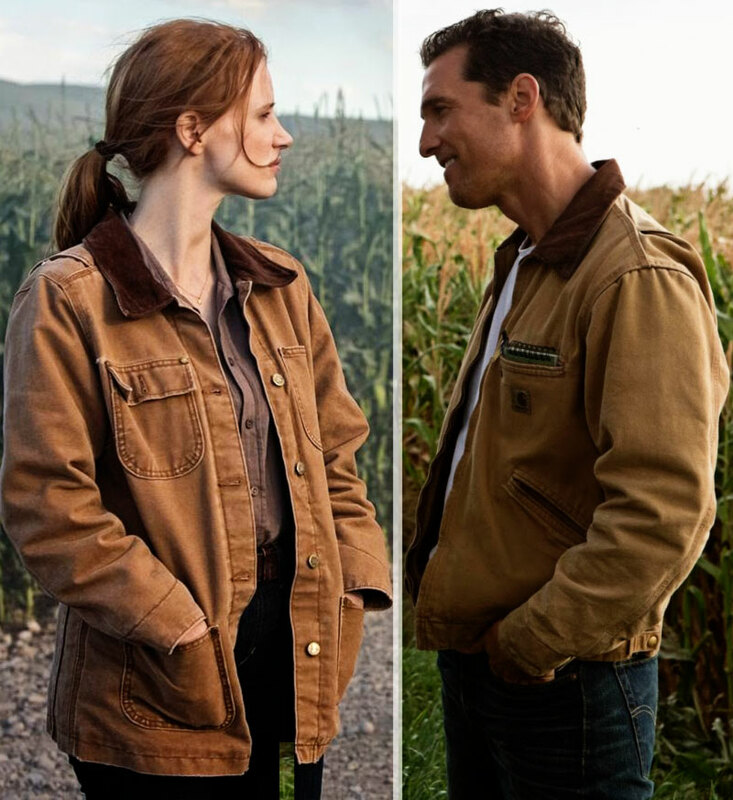 Her brother, Tom (as an adult, as interpreted by Casey Affleck) is also wearing a Carhartt jacket, same as his father, except another color with vibrant red quilted lining. That may very well be a giveaway as to what’s fueling Tom’s actions and entire life. He’s a somewhat secondary character, although substantial to the development of the story, always thinking about his family and taking care of them. 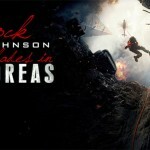 Earth-bound, always there, Tom is the reliable one. Just like his jacket, or his father’s before him. See also: What was Johnny Depp wearing in Transcendence? 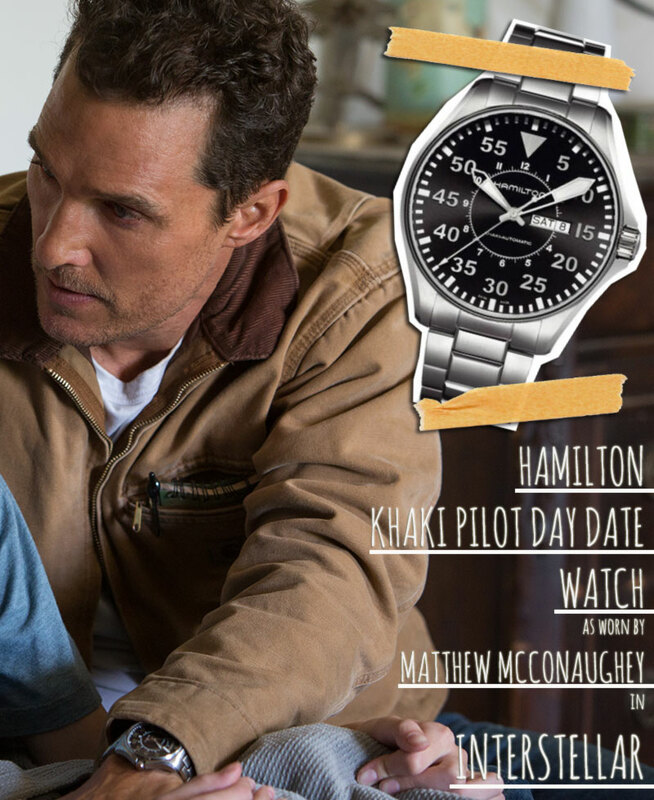 A special mention goes to the watches used in Interstellar. 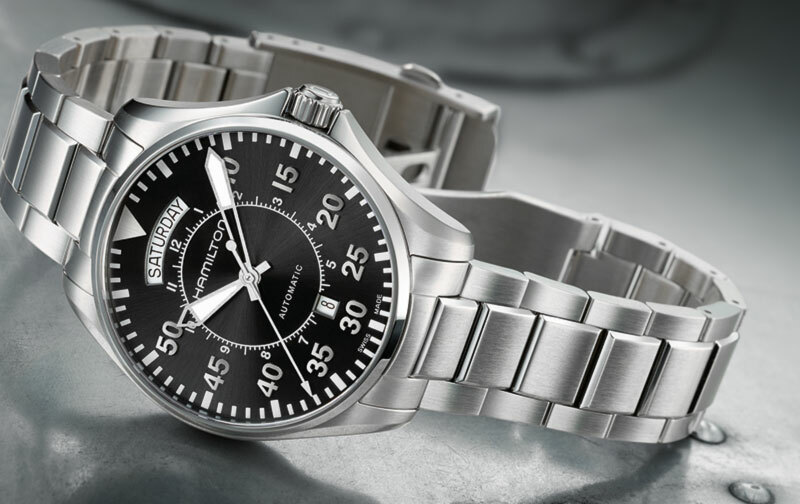 The Nolan brothers and their team took the timepiece matter very seriously, choosing Hamilton watches – a brand that’s been loyally serving astronauts since 1919. 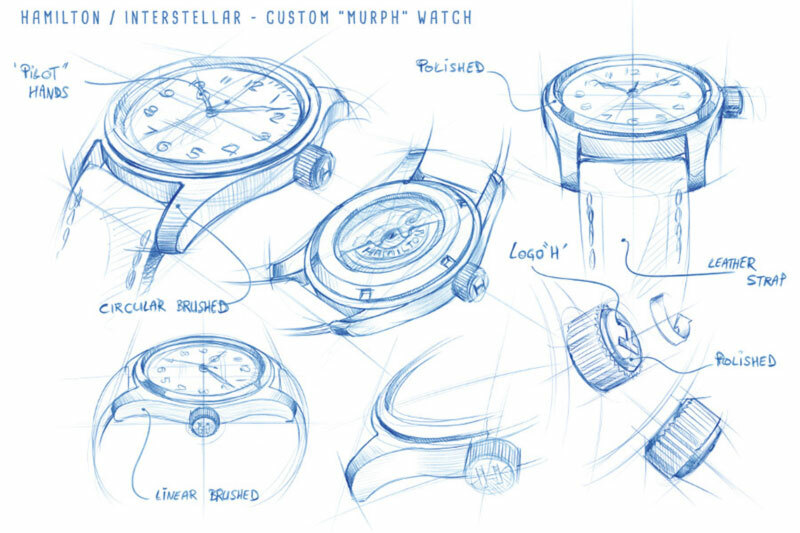 A special type of timepiece was crafted for this movie’s Murph character, one that you won’t find in store, not even in a (very) limited number. 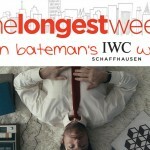 See also: Watches worn by Pierce Brosnan in one of his latest movies!